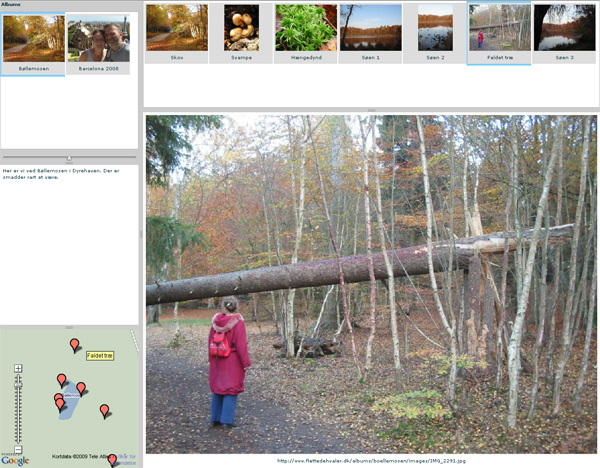 This is an xml-based image album, written in Adobe Flex, with mashup to Google Maps. Choose album and then click the thumbnails or the markers on the map. The thumbnail size can be altered with the slider.